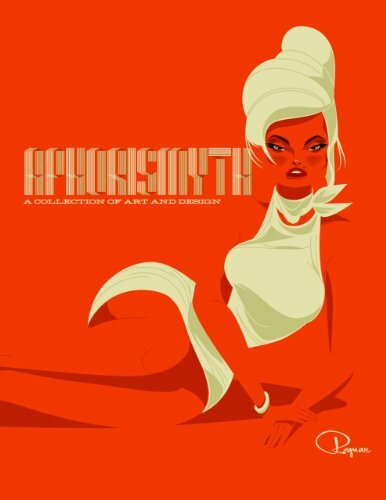 Aphorismyth is the artbook Ragnar put out in 2013. It's 80 pages, paperback. He has put out some of these collections before. The more official book is The Art of Big City which is a 180-page hardcover. This artbook collects his recent illustrations and some photos. There are some paintings, contemporary art, poster designs for Designer Con 2012, character designs, insects, pin-up girl art, and more. It's a mixture of painted stuff and the clean vector style. The art is beautiful. For the posters, you can sense a strong graphic design principles at work. I also love how he uses colours. One of the highlights of his artworks is definitely the colour palette and usage. Sometimes the colours are pure and strong, other times they are dulled down by saturation. The colours are either in harmony or playful clash. It's yet another wonderful collection of art from Ragnar.